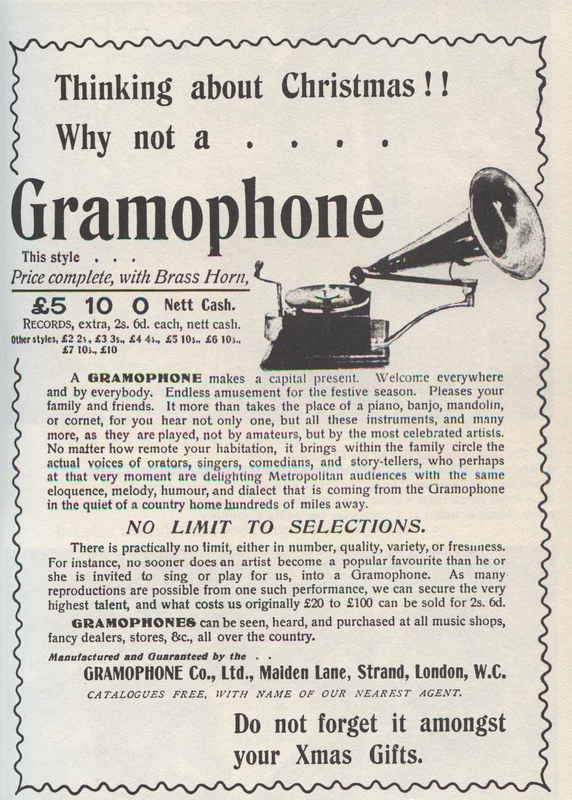 This entry was posted in 1899 and tagged 1899, garmophone, the gramophone company by Nipper. Bookmark the permalink. This advertisement is from late 1900, not 1899. It clearly went to press before December 10 1900, when ‘The Gramophone Co Ltd’ gave way to ‘The Gramophone & Typewriter Ltd’, but it lists the expanded range of models that were just starting to appear in November 1900, and therefore cannot be dated to 1899.